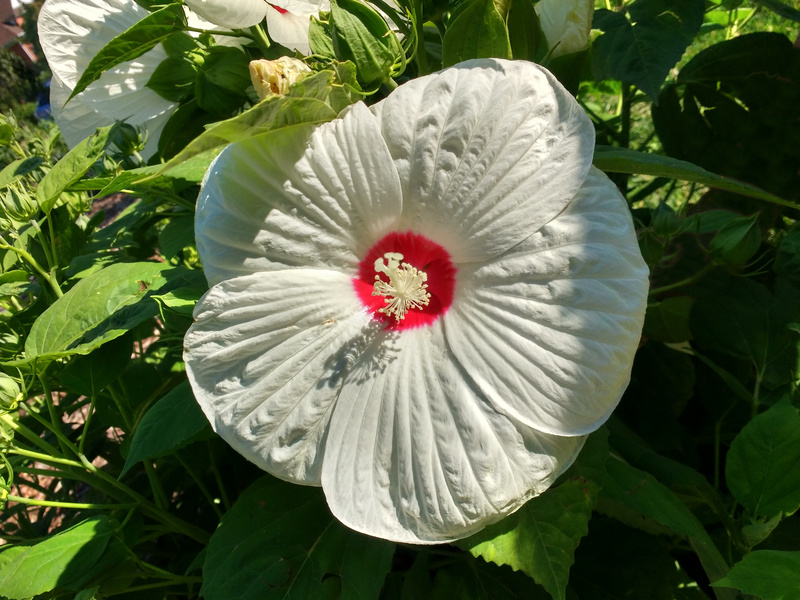 Free high resolution photo of a white hibiscus flower. Hibiscus is a member of the mallow family. This is a perennial variety that flowers all summer long. Free image for any use.